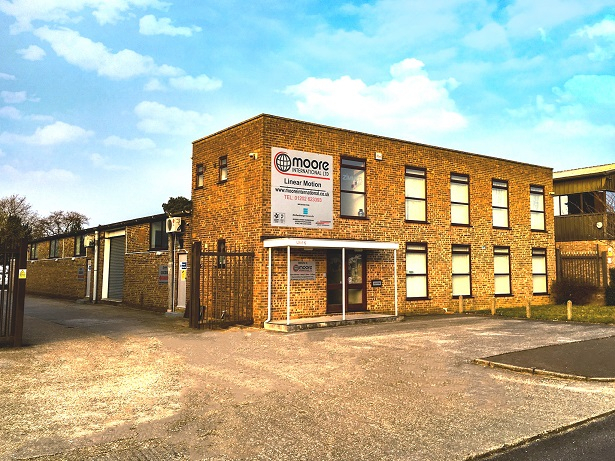 Moore International was formed in 1997 after Managing Director Mark Moore and his brother Colin had been serving the local industry for 13 years with bearing and power transmission solutions to end users and OEMs. The company is ISO 9001 certified, which is constantly being updated to keep up with the latest technology and customer trends. Since 1997 Mark has grown the company from a small, local supplier of bearing products to a highly-regarded manufacturer and distributor of ball screws, lead screws and linear products from the UK and Switzerland. We aim to offer our customers a fast delivery service by holding good levels of stock here at our large premises in Poole in Dorset. We have grown a good customer base by being able to provide products from stock, as designers and engineers don’t want to wait several weeks for parts. We’ve also expanded our CNC turning and milling facilities and can manufacture parts made to the customer’s specific measurements and requirements. We work with a variety of materials including aluminium, stainless steel, mild steel, tecaform and peek. We have multi-axis CNC mills, CNC lathes and manual lathes. These, together with our induction softening machine and our CMM measuring and inspection equipment, means we are fully equipped to cater to a wide variety of needs. Moore International Ltd are fully Certified to ISO 9001:2015.
service and quality products every time.